ALEXANDRIA, Va. — Reducing drug costs borne by seniors due to middlemen and deals in the drug supply chain are Medicare Part D reforms that most strongly curry favor among registered voters, according to a Morning Consult survey commissioned by the National Community Pharmacists Association (NCPA). 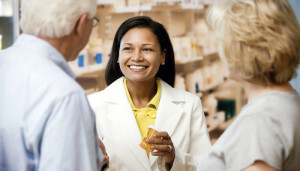 Popular cost-saving measures include requiring insurers and pharmacy benefit managers to directly pass discounts they negotiate with drug companies to seniors, allowing seniors to access lower co-payments by assuring they can obtain prescriptions from the pharmacy of their choice, and prohibiting PBMs from charging retroactive fees to pharmacies – fees that artificially raise seniors’ out-of-pocket costs. More than 75% of respondents say they’d be more likely to support a candidate for Congress who would vote for a plan to ensure PBM middlemen can’t retroactively charge fees that artificially increase seniors’ drug costs at the pharmacy counter. Find complete survey results here.